Because of how durable they are, metal signs are the choice for anyone wanting a long lasting sign. And here at Perth Graphics Centre we get asked to install them in all sorts of places. Take these beauty salon signs, for example. The customer was very specific about where they were to go, with one on top of a wall (for visibility) and one on another wall. Yes, we had to do a bit of gardening, but that’s how seriously we take our work. Once these metal signs were fitted, the customer was rapt and her customers can now locate her business. 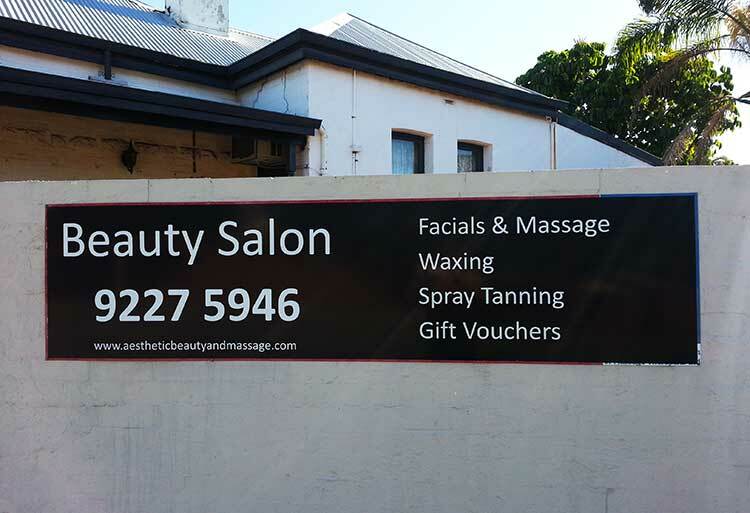 So no matter what kind of sign you’re after, we can advise the best way to install it and how to make it look its best. 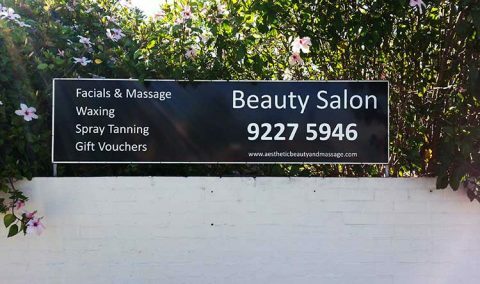 Why not try Perth Graphics Centre for your next signs? You’ll be glad you did.